The authors review the high unemployment rates among adults with autism and other neuro- diverse conditions more than two decades after the ADA. 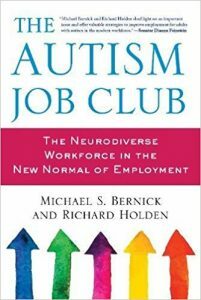 National data on autism employment and unemployment with the individual employment searches of job club members. The art of the autism job coach. The autism advantage in technology employment. Autism employment and the internet economy. Autism employment and the practical/craft economy. Autism and extra-governmental job networks. Autism and public service employment. A cutting-edge account of the latest science of autism, from the best-selling author and advocate. 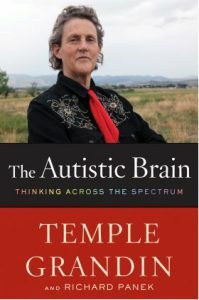 Temple Grandin may be the most famous person with autism—a condition that affects one in eighty-eight children. Since her birth in 1947, our understanding of it has undergone a great transformation, leading to more hope than ever before that we may finally learn the causes of, and treatments for, autism. Weaving her own experience with remarkable new discoveries, Grandin introduces the advances in neuroimaging and genetic research that link brain science to behavior—even sharing her own brain scan to show which anomalies might explain common symptoms. Most excitingly, she argues that raising and educating kids on the autism spectrum must focus on their long-overlooked strengths to foster their unique contributions. The Autistic Brain brings Grandin’s singular perspective into the heart of the autism revolution. On a romantic whim Stephen and Shannon Mackey took a leap of faith that would forever change the course of their lives. With no background in farming, they purchased an abandoned cattle ranch in Northern Virginia with a dream to start a family and create Notaviva Vineyards, the world s first winery to pair wine with music. With an unyielding commitment to their children and their vision, they embarked upon an entrepreneurial journey unlike any other. 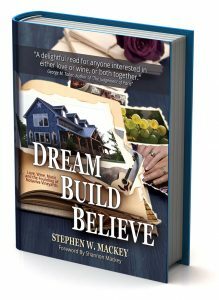 While holding down corporate careers, they began the construction of their custom timber frame home, which would double as the tasting room of the winery. During the building process, they were filmed for a reality television show, planted new vines, learned to make wine, and contributed thousands of hours of sweat equity all while living in a small rental home, Shannon pregnant with their second son. When they opened the winery just after the outset of the Great Recession in March of 2008, they also launched their new creative agency to support their young family and farming pursuits. Their story of starting two small businesses while raising a family is a testament to the American Dream. Fundamentally rooted in hard work, tough sacrifice, unwavering tenacity and a deep abiding love for each other, their children and their land, their uplifting tale is proof that no matter how dark the skies may seem at times, we must always believe there is a star watching over each of us.